Speaking at the House of Commons’ Environmental Audit Committee (EAC) on Wednesday afternoon, UK recyclers told Members of Parliament that an exemption to the proposed carrier bag charge for biodegradable plastics bags would severely damage the UK plastics recycling industry. 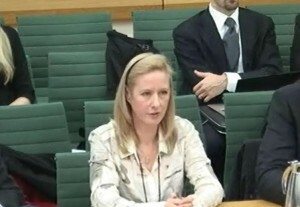 Jessica Baker, Managing Director of Brandon based Chase Plastics, represented the views of the British Plastics Federation’s Recycling Group and told MPs that biodegradable bags which will degrade very quickly under specific circumstances will then not be reprocessable and that reprocessing jobs will be at grave risk in the sector. A preferable solution, she said, would be to give bags with a high plastic recycled content an exemption. These would have strong sustainability credentials, and could be recycled readily again and again. Professor Richard Thomson also giving evidence to the Committee also felt that if an exemption had to be given then it should be for this type of bag. Detailed questions were raised by the Committee chaired by Joan Walley MP and which also included Green MP Caroline Lucas, Zac Goldsmith MP and former Environment Minister Caroline Spelman MP. The speed with which the biodegradable bags would actually degrade was called into question by the Committee and therefore how effective they would be in controlling litter. Jessica Baker said that her company had been recycling plastics for 50 years and that the key criterion was fitness for purpose for their applications. Many plastic recyclers, she said, have customers who need their product to last up to 30 years in some cases. She emphasised that an exemption of biodegradable bags could lead to a large contamination of the conventional plastic waste stream which could ruin the integrity of recycled plastics. The BPF Recycling Group had previously submitted written responses to the Defra and EAC consultations. In both, the Group made the point that charges levied in Ireland and Wales also applied to biodegradable bags.